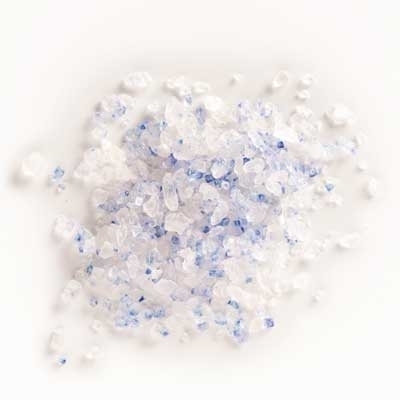 A rarity among salts due to its unique blue color, Persian Blue Diamond has a confident taste that gently enhances the flavor of all dishes. Oozing sophistication and steeped in luxurious tradition, Persian Blue has always been sought after, and valued for its good looks and fine taste. A very rare breed of salt that is cautious at first, but delicious when tamed. Blue salt is one of the rarest salts known to mankind, and is extracted from a salt mine in the northern province of Semman in Persia. This salt is probably one of the most unusual salts on the market today. Its color is not caused by a specific mineral. The intriguing blue color occurs during the forming of the salt’s crystalline structure, as intense pressure is exerted on the salt deposits. The individual crystals fracture the light in an unusual way and the resulting blue (which is caused by an optical illusion), becomes visible. This same blue effect can be seen in compressed glacier ice. Its flavour is described as an initial bold taste, but quickly becomes mild and pleasant. It is generally regarded as a dessert salt, example Caramel Sauce with ice cream. However it can be used in fois gras, truffle dishes, seafood, and meat dishes. 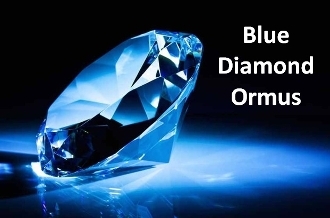 Locally collected Ormus minerals made with gourmet Persian Blue Diamond Salt and harmonically structured water.